-watching Adam and Jamie blow stuff up on Mythbusters cab make the same 5 year old jump out of her chair and cheer. 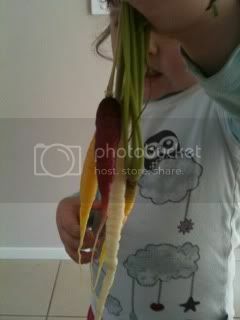 -if you want to impress your children, grow multi coloured carrots! -the T-Box (like tivo kinda) will only record the shows you want if you leave it switched on at the point. -snow globe V tiles. The tiles always win. 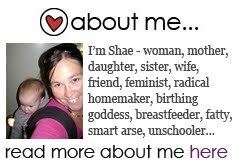 -I'm the guest blogger over at Eco Toys Blog today blogging about our journey to homeschooling. Things I Know is now a link up! Come and add what you know this week. hmm that compost point has been curious... and somewhat scared of my curiosity! Totally have to agree with the Bear Grylls comment. Actually a lot of things that man does has that affect.